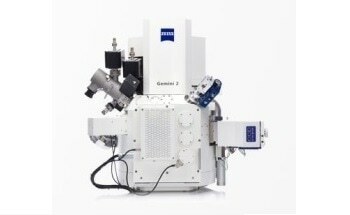 To enable the production of highly polished TEM lamellas Carl Zeiss SMT now offers an additional Argon ion beam column to its successful NVison 40 CrossBeam workstation. 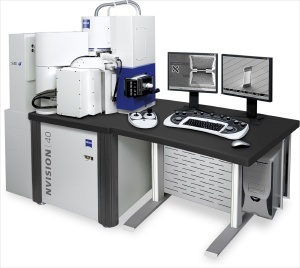 The new product Argon Ion Column extends ZEISS NVision product family. Highly polished TEM lamellas are a prerequisite for successful analysis of specimens in a transmission electron microscope. The new low- energy Argon ion column in the NVision 40 CrossBeam workstation allows the fabrication of supreme sample quality by enabling almost complete removal of surface damages, that typically occur during the initial FIB milling steps. 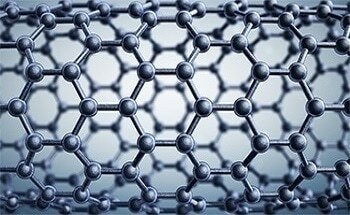 With this “supreme milling” method unprecedented TEM lamella quality is achieved enabling quantitative atomic resolution characterization of samples. By employing the new triple beam technology, time consuming and cost-intensive additional polishing processes in auxiliary tools become obsolete. The Argon ion column is retrofittable to existing NVision 40 workstations. 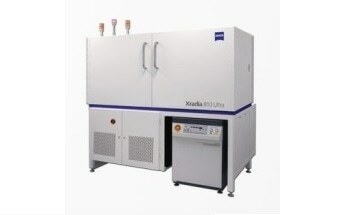 NVision 40 Argon is a joint product of Carl Zeiss SMT– Nano Technology System division and its Japanese partner SII Nano Technology.